Martin Solveig’s recent single ‘Hello’ with Dragonette was an unexpected chart hit here in Australia, peaking at No.13 on the ARIA singles chart earlier this year, its position mirroring that of the UK. 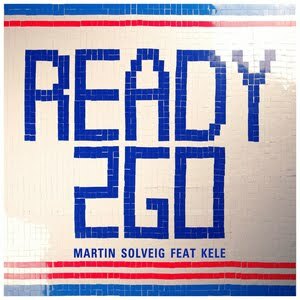 But hold onto your hats, pop kids, ’cause Universal Music has just serviced the followup single called ‘Ready 2 Go’. This time around, the French producer has roped in the vocal services of Kele from Bloc Party to create another dancefloor anthem that’s bound to find favour once more at local radio. Finishing touches for a “mega” video for the track are apparently being applied and an album is slated for release later this year.